The Dogs That Shed The Most/Least: meet furballs & low-shedding pups! 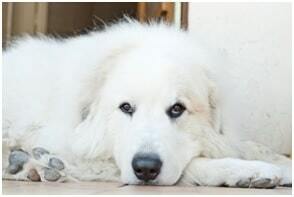 The Dogs That Shed The Most/Least: meet the biggest furballs & learn about low-shedding breeds! On this site, we talk an awful lot about cleaning up pet fur. In fact, it’s the whole reason we started the site! Of course, the best way to make your cleaning easier to handle is to reduce the amount of pet hair you have to deal with in the first place. That’s why shedding is something to consider when you decide on a specific breed of animal to take home. Why exactly do dogs shed? Dogs have furry coats for a few reasons. The first is to keep them warm and to regulate their body temperature. The second is to protect their skin, which is a dog’s (and human’s!) largest organ. And finally, it helps with sensory perception. As far as shedding is concerned, the first purpose is the most relevant. To keep their body temperature constant from winter to spring and summer, dogs need to “blow out” their undercoat, which is like dropping a layer of insulation. They’ll replace it with much lighter fur to suit the season. Come fall, they’ll shed all over again in order to grow a fresh winter outer coat. Is there such a thing as a non-shedding dog? Strictly speaking, no. All dogs will leave loose hair behind. So, in the practical sense, all dogs shed. 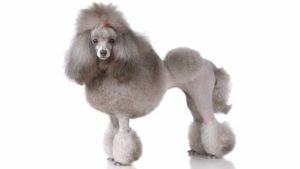 The term “non-shedding” is usually used to refer to dogs like poodles, which have hair rather than fur. With dogs that have fur, you end up with clumps of “blown-out” hairs each season, while most so-called non-shedding dogs just drop a few loose hairs here and there. So, you can certainly choose breeds that will make your life easier, but you’ll still need a reliable, capable vac to help out! Find reviews and recommendations for the best pet hair vacuums on our homepage. 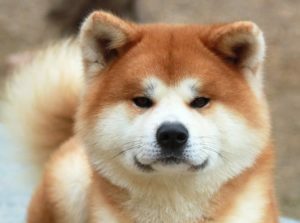 Akitas are big, loyal dogs originally bred for hunting in Japan. Recognize them for their curly tail, and for their outgoing personalities. They’re super cheerful and love outdoor activities, without being hyper. You’ll want to take them outside as much as possible for brushing, since they produce an ungodly amount of fur! 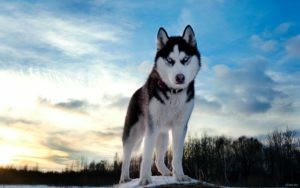 The Alaskan Husky is a big, strong dog built for exercise and endurance! They’re bred for pulling sleds, so these are great companions for runners and hikers. You’ll also find that they’re refreshingly independent. They don’t mind being home alone as long as they’ve got an area to play outside. Since they’ve come from a colder environment, it’s no surprise that they shed buckets. Labradors are one of the most distinctive breeds out there. Whatever their color, they have relatively shaggy coats, and they shed big clumps come spring and fall. 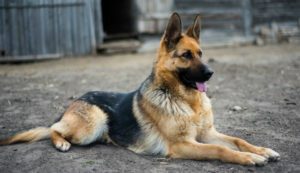 Like labs, German Shepherds are incredibly distinctive. They don’t shed quite as much as Goldens or St. Bernard’s, but you should still be prepared for quite a lot of vacuuming with one of these. The key is to take advantage of their love for outdoor time, so you can leave as much hair as possible in the yard! What you don’t see from the idyllic pound pictures or All-American Lassie imagery is the sheer amount of fur these pooches produce! They’re veritable fuzz machines, so you should plan to brush them as much as humanly possible. 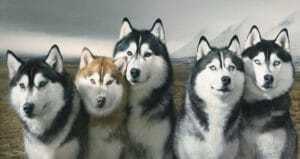 Siberian Huskies, like Alaskan Huskies, are bred for cold weather and plenty of exercise. So, not only do they produce bales of fuzz, but they spread it around your house in record time. The St. Bernard’s ability to shed is matched only by its ability to produce drool! These are shaggy, big dogs that require daily brushing and vacuuming twice weekly just to stay somewhat on top of the hair. Don’t get a St. Bernard unless you’re comfortable living in a carpet of fur at all times! The Alaskan Malamute was originally bred to traverse the cold and icy terrain of Alaska, so their thick double coat keeps them warm, but it also causes a lot of shedding. 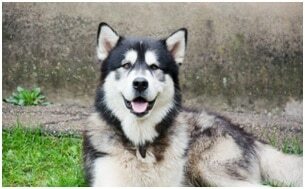 It is very similar to the shedding of the Siberian Husky and is probably one of the dog breeds that sheds the most. 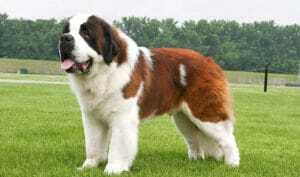 These are large dogs that originated from the Pyrenees Mountains in France and Spain – hence, their name. Like many of the dogs that are on this list, they also need thick coats to keep them warm in cooler temperatures. So, it is safe to assume that these dogs will be shedding quite a bit. Poodles are one of the most common dogs suggested for people with pet allergies. That’s because they have just one coat, and no undercoat insulation layer. They don’t shed in the classic sense since their hair is more like human hair than dog fur. They’ll lose a few loose hairs now and then, but they’re very easy to clean up after if you keep them trimmed. 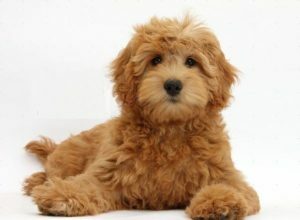 These curly little charmers are similar to poodles in that they lose the occasional hair but don’t shed large amounts. They’re easy to maintain, as long as you trim them twice a year or so. And since they love water, they end up staying cleaner than other lap dogs. Exactly what they sound like, these are smaller versions of your average poodle. They’re hypoallergenic, they don’t shed in clumps, and they don’t get smelly. 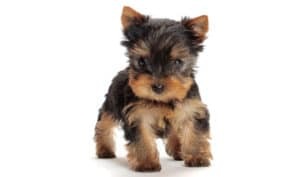 Yorkies were originally bred to hunt rodents around mills and factories in England. They have big personalities for their small size and are fiercely loyal! They shed very little, and only need to be brushed occasionally. 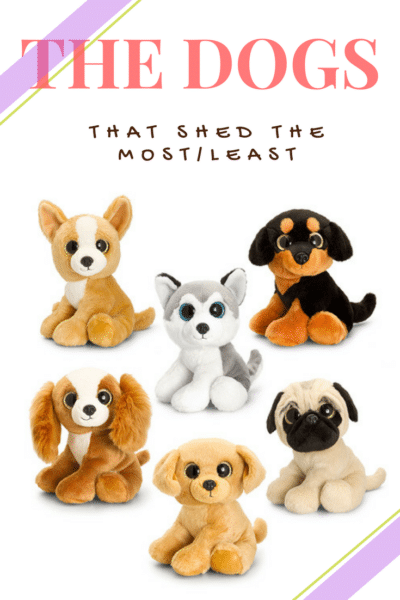 These tiny toy dogs have big personalities for their small frames! They’re friendly, unaggressive, and mildly playful. Their white coat is long but relatively hypoallergenic. Just be sure to brush them daily and trim them regularly. If you’re into miniature pooches, few are more distinctive than the Chihuahua. They’re super outgoing, and their short fuzzy coats are easy to maintain. 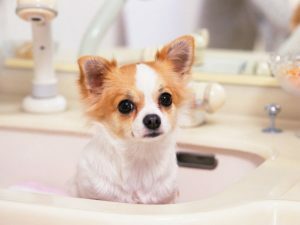 Chihuahua’s do shed seasonally, but since they have short hair and such small frames, there’s not too much to clean up. 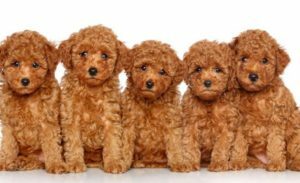 These are crosses between Labrador Retrievers and Poodles. They’re increasingly popular these days as a hypoallergenic option. We think they’re much more manageable from a housekeeping perspective than your average lab. They’re friendly, active, and super cute. Make sure to find a good breeder and make it clear you’re looking for a low-shedding pooch, though. These are a crossbreed, so there aren’t consistent standards. 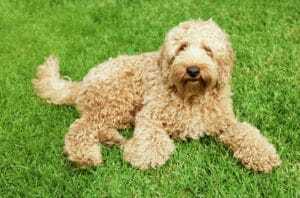 Like a Labradoodle, Goldendoodles are crossbreeds. They’re a mix between Golden Retrievers and Poodles. If you want that classic Lassie look and personality without all the mess, they’re a great alternative. 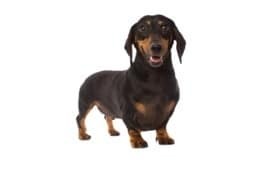 These are small dogs that are often called “wiener” dogs because of their long bodies and short, stubby little legs which makes them resemble a hot dog. They also have three different coat varieties including smooth coated, longhaired, and wirehaired. 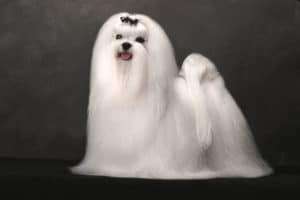 They are very moderate shedders, but if you choose the longhaired coat, then you may find that it needs to be brushed more often than the others. 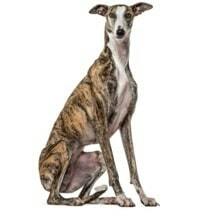 These are a much larger breed of dog and can grow to weigh up to seventy pounds. They have a short coat of fur that rarely sheds and is very easy to maintain and care for. Does climate affect how a dog sheds? When in their natural environments, dogs tend to shed in the spring months because of the longer daytime hours. 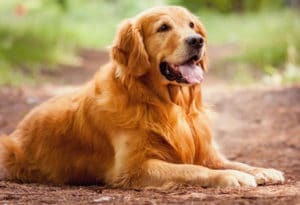 Warmer temperatures and more sun mean that the dog no longer needs a thick coat of fur for warmth, so their body will shed away the excess fur to keep them cooler. How can I reduce shedding? 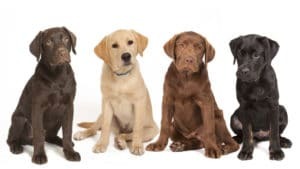 To help reduce dog shedding, brush your pet frequently to remove the excess fur, bathe them often, and speak to your veterinarian about starting your pup on supplements with Omega 3 fatty acids and to eliminate any skin problems they may have that is causing any excessive shedding. 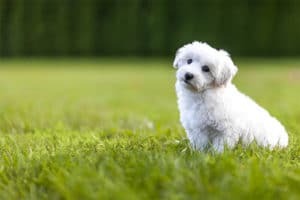 No dog is deemed 100% hypoallergenic, but some hypoallergenic dog breeds can help allergy sufferers. They have a non-shedding coat that produces far less dander than other breeds. The dander is what commonly causes most of the pet allergies that humans suffer. You should bathe your dog at least one time every three months. However, you can bathe them more frequently with a very gentle and mild shampoo – once every other week. Does my dog’s food affect their shedding? While shedding is pretty much unavoidable, making small changes to your dog’s diet can help prevent excessive shedding and can help promote a healthy and shiny coat. Many factors can contribute to excessive shedding including allergies, hormonal imbalances, and other deficiencies. To rule something more serious out, it is recommended to visit your veterinarian to discuss your dog’s health. What grooming tools should I use? One of the best tools to have for when a dog is shedding is a brush. Having a good brush or comb so you can regularly comb them is important to remove the excess hair and fur. Your veterinarian will be able to recommend the best brush for your particular breed of dog. What does it mean if the dog is soft coated? Soft coated dogs generally have silky and wavy coats. The Wheaten Terrier, for example, is considered a soft coated dog breed.